Jeff "Beachbum" Berry, a regular at The Hukilau, is a tropical drink expert. He will present a sold-out symposium (or "booze cruise through time") this weekend, based on his forthcoming book, Potions of the Caribbean: 500 Years of Tropical Drinks and the People Behind Them, which will be published by Cocktail Kingdom. Even if you're not able to attend this weekend, you can still make one of Berry's tropical drinks, Beachbum's Own, with a cocktail recipe he provided to Miami Dish. Tiki drinks can be surprisingly complex: "It still amazes me just how many variations of rum, lime, and sugar--the three basic building blocks of all Caribbean mixology--bartenders can come up with," says Berry. "From the Daiquiri to the Planters Punch to the Mojito to the Mai Tai, the Zombie, and almost every other "tiki" drink I can think of, the recipe always starts with rum, lime, and sugar, then builds from there." 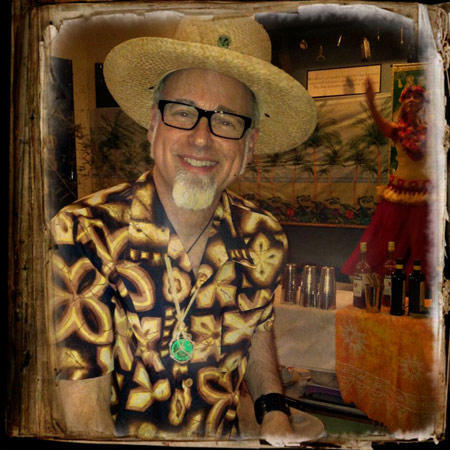 The former Los Angeles screenwriter and director made a second career for himself studying the history of tiki-related cocktails and crafting new recipes. His new book focuses on the Caribbean connection, as opposed to the more Polynesian and Southern Pacific influences, on tiki drinking and culture. Berry says he used sources like the writings of 16th century Spanish priests about Yucatec Mayan drinking rituals, to articles in Harper's Weekly by Lafcadio Hearn about cocktails in Martinique and Jamaica, to interviews with the children and grandchildren "of key players in the postwar Caribbean tourism and cocktail boom." The Mai Kai, in Fort Lauderdale, is the center of Hukilau festivities this weekend. Says Berry, "It looms large in tropical drink history because Mariano Licudine, the head mixologist there from 1956 to the early 1980s, created original drinks that became world famous." Cocktails like The Derby Daiquiri and the Mystery Bowl at The Mai Kai were copied by rival restaurants and bars all over the country. Berry notes that Licudine was sent by rum companies to teach Jamaican, Puerto Rican and Cuban resort bartenders how to make tiki-style tropical drinks. By the mid-20th century, these were big sellers at Caribbean resorts. Although the Planters Punch originated in Jamaica and the Daiquiri originated in Cuba, Licudine taught the bartenders tricks like using thin ice shells inside the glass to make the each drink more of "a conversation piece." Bartenders in South Florida also "tiki-fied" existing drinks "by adding more and more exotic spices, syrups, and liqueurs, until they’d turned the simple three-ingredient Caribbean originals into multi-layered, faux-Polynesian fantasias with teasingly elusive flavors." 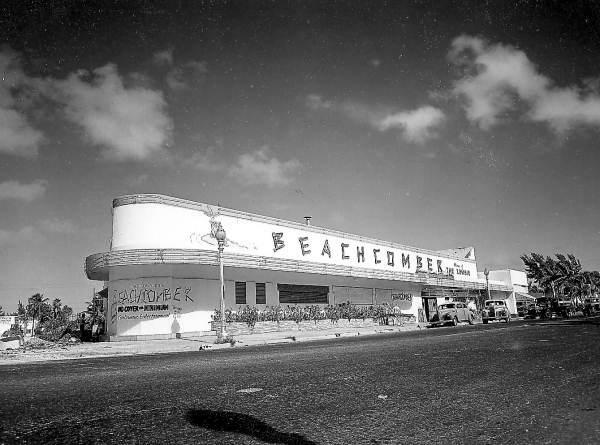 Berry notes that Miami "was a hotspot for tropical drinks as far back as the 1940s" including some of the bars below. Berry is pleased with the interest in tiki cocktails that has accompanied the overall classic cocktail resurgence: "You can get a perfectly mixed Mai Tai now on every continent except Antarctica--although a Caribbean rum bar owner from London, Ian Burrell, just did open a pop-up bar down there!" Related: Read about the "exotica" music at this annual tiki extravaganza. Who's growing cocktails in their gardens? In a manner of speaking, Blackbird Ordinary and Broken Shaker are. The two Miami-Dade bars are growing plants they use to make simple syrups, infusions and garnishes. You can also grow your own "cocktail garden." Amy Stewart, author of The Drunken Botanist, visits Books & Books this Friday, and she'll be giving gardening tips.